In some ways, I think many of us are happy to say goodbye to 2016, with the loss of so many treasured artistic talents, let alone what’s happening in the news. But that hasn’t stopped me from listening to as much music as I can and going to see as much live music as possible. 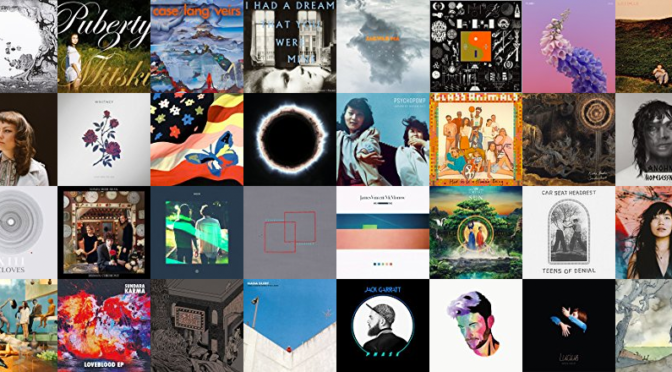 Some of my favorite shows this year were Brandi Carlile, Cold War Kids, Radiohead, LCD Soundsystem, Foals, Miike Snow, Lucius, M83, Car Seat Headrest, Yeasayer, Bloc Party, & Mitski, amongst many others. I loved putting together this list of Indie-ish songs that I keep coming back to after repeated listenings. Without further ado, here are my favorite 50 songs of 2016…. If you prefer,you can jump to the end to see the Amazon, YouTube, and Spotify playlists.